Booth, Sarah (1793-1867): Discovered in Manchester (c.1804) where she was a dancer. She appeared as an actress at many London theatres but never achieved the rank of tragedienne. 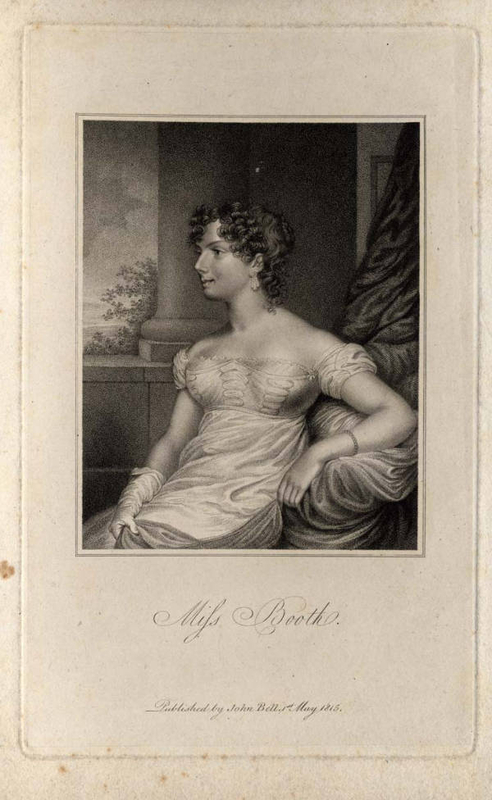 She performed at the Adelphi in the 1824-25 season. Described as "small in stature, nervous, with hair inclining to red," she was often cast as a young woman, such as Cordelia or Juliet. Booth’s powers were agreeable rather than impressive. To the last, her dancing remained a special attraction.